It is with bitter irony that education chiefs announced a major cut to preregistration placement funding on the same day that the General Pharmaceutical Council (GPhC) called for a radical reshaping of pharmacy education. 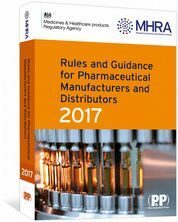 The GPhC proposals include integrating the MPharm and preregistration years of training, as well as having a heavier focus on clinical and communication skills. 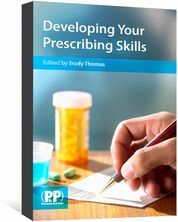 It is an interesting proposal and fits in with the burgeoning role of pharmacists in providing patient care outlined in the ‘NHS Long-Term Plan’ — although, quite rightly, the Pharmacy Schools Council has raised concerns about how it will be funded and delivered. 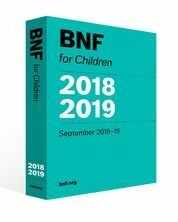 But this has all been undermined by a letter from Health Education England saying that from September 2020, salary support funding for NHS preregistration places across England will be cut to 75%. The letter claims that it was “inequitable” that some English regions currently receive 100% salary support for preregistration placements in hospital, mental health trusts and some GP surgeries, but others don’t. But HEE has decided to level down, rather than level up, reducing the funding for many posts by 25% — costing £70,000 per year per trust, according to one chief pharmacist who spoke to Jizak. HEE says that the funding will be reinvested “to ensure improved impact” and that it would be collaborating with the profession and employers on this exercise, but this cut will be a real slap in the face to good training providers and may have long-term and irreversible effects on the future of pharmacy in England. In the context of the GPhC’s plans and the NHS’s own long-term plan, it is absurd to argue that this cut is fair or evidence-based. The health service badly needs pharmacists to take on more clinical responsibility, and a cut to training can only have a harmful effect on the number of specialist training places. Now, two years after the 2016 Carter Review, there is real progress being made across the country allowing hospital pharmacists to spend more time on the wards, interacting with patients and monitoring medicines use. This is a mark of real progress — but one that this cut to training threatens to reverse. How can it be “consistent” when preregistration pharmacists in GP surgeries will continue to have 100% funding? How can it be “equitable” when the likely effect of this will be a shift in pharmacy graduates taking up community placements, which are supported through the NHS instead of HEE; a rise in costs in this sector; and a potential drop in those passing their preregistration exams, as GPhC data clearly show that those in hospitals have better pass rates? The whole exercise has terrible echoes of the cuts to nurse training posts from 2010. These cuts are a major reason why there is in the health service — which is having a profound effect on the care the NHS is able to provide. It is reckless and counterproductive — and a false economy — to cut preregistration pharmacy training funding now. The timing could not be worse, and quite rightly, training pharmacists are horrified by the damage they will cause. HEE must take a long look in the mirror and reverse these cuts. Otherwise, the negative consequences will reverberate for years to come. The reduction in funding support for pre-registration posts proposed by Health Education England is extremely irresponsible from a group that is charged with promoting professional development and protecting patients within the NHS. Rather than reducing the support, funding needs to be increased in order to create an effective pharmacy workforce that will deliver the expected increased pharmacy roles within the NHS Long Term Plan and the 5 year AMR plan. Pre-registration places are a life blood for the Profession and should be increased, not cut. 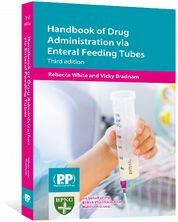 All you need to know about prescribing or administering drugs via enteral ing tubes. 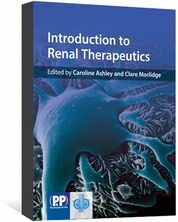 Over 400 drug monographs as well as facts to inform clinical decision making.